Home > KMST	> kMSt ver. 1.2.416 – New Equips, UI, and Aswan Additions! kMSt ver. 1.2.416 – New Equips, UI, and Aswan Additions! The character selection screen has been reorganized! It now shows 8 characters on one page, and has two new buttons, Part-time (Arbeit) and Character Card. I don’t think they do anything right now, but I did talk about the Part-time UI in my last post. I think this new screen looks very nice! Look pas the cut for information on the new things added in Aswan, and in the data! There’s another new UI and new high-leveled equipment! The Character Card UI has been added as well (pictures thanks to Fiel of Southperry)! 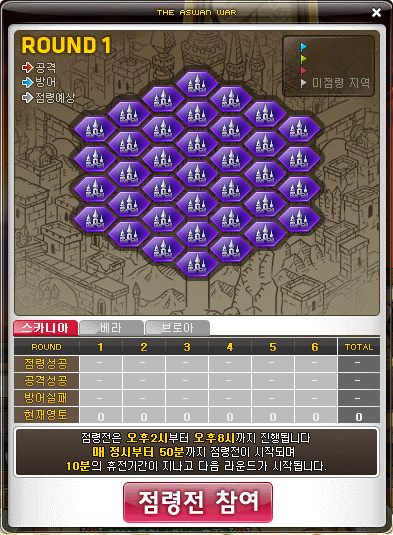 This seems very interesting… what is Nexon planning? The Character Deck picture has writing that says effects, will this Character Card system give us some bonuses? P.S. If you haven’t already, check out my last post for the new Inkwell’s Secret Diary entry, it has to do with server versus server competition! In game, you can now check the status of this war by talking to Gardin! There are 6 rounds in total, but you can only participate between 2pm and 8pm. Since that time hasn’t arrived yet and this content was just added today, there is nothing to show. Tomorrow I assume it will have the different servers competing! New items were added, including a “new” level 130 set, although the items themselves look the same as the current level 130 set. There is the Emperor’s Brave set for warriors, Emperor’s Memories set for magicians, Emperor’s Sharpness set for archers, Emperor’s Swift set for thieves, and the Emperor’s Fervent set for pirates. There’s also some new accessory sets, and again they have the same graphics as the current level 130 set. They’re split into three levels, each one with better stats than the next. The Duke’s Accessories set for level 80, the Conquerer’s Accessories set for level 100, and the Emperor’s Accessories set for level 130.
how do you join tespia? New Character Screen is great! Max, do you know the stats on the new Lvl 130 equips? are they better then empress (L140) gear, or better then PvP gear, or better than both? thanks! seems like a good set! New character selection screen…Does this lead to the possibility of Nexon expanding the max number of characters in a single server beyond 15? With so many classes already released and more to come I would really hate to have to delete characters in order to play new ones. New login screen is epic. I love the new log in screen, it’s a good change to the older boring one. Isn’t “arbeit” the german word for work/job? I wonder what that’s about. Wait, so server vs. server has something to do with Aswan? Can someone clarify this to me? because there WERE NO OTHER card games before yu-gi-oh right?! Thr new char screen is awsome. ! any chance you got a link to that new character select ui without any characters ? I hope there will be new weapon / armor replacement for them, would be boring seeing the same old equipments. New character screen is great. Lets you flip through faster, AND looks better. Gotta say I will miss the old “sky-dock” though. Max you know when you make a character right? The character creation screen, the screen where you can choose the gender options for the character, are they gonna make a new background for tht? i love the new login screen. Tired of the seeing the same old login screen for 6years (msea). And i hope there will be a new login screen bgm too. Anyone know what’s the battle mode for? If you mean GMST, you don’t join Tespia, you’re invited. The only time you were able to sign up is when it first came out. And it isn’t that fun… I’m in it, trust me. 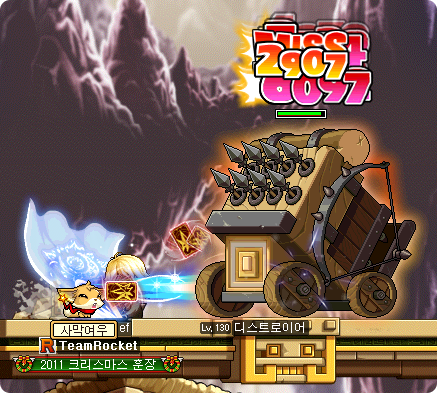 KMST is fun because you actually are the first people to try it. Remember, Tespia isn’t some club like people think, it’s testing and reporting glitches. 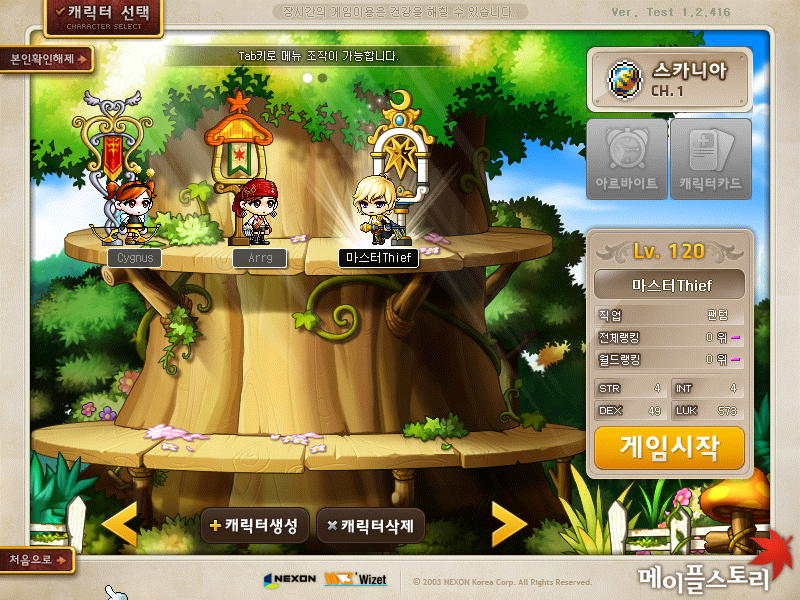 For KMST you just sign up when they open sign ups with your kMS account and you get randomly selected. And the registrations open at the start of each term, which lasts for about 3 months. kMSt ver. 1.2.417 – Part-time Job and Character Card Systems! kMSt ver. 1.2.415 – Liberation of Aswan!